Adapted from the Ball Canning book. 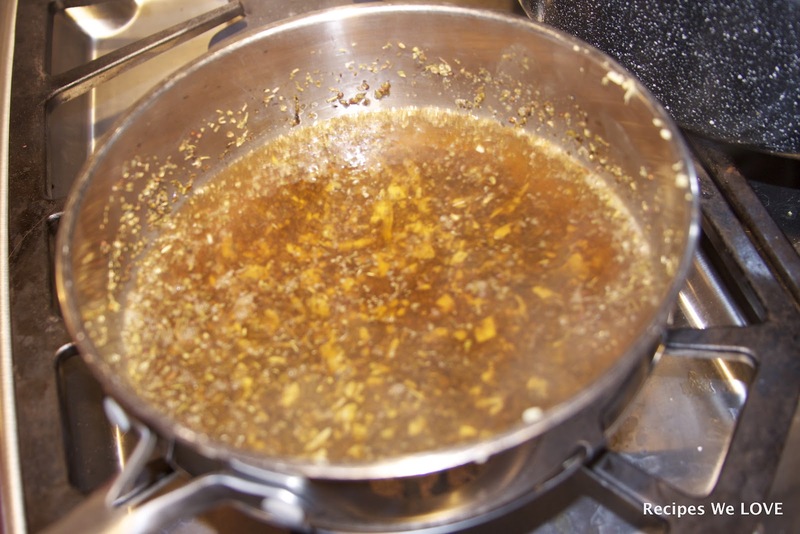 In a large pain combine, garlic, wine, wine vinegar, water, sugar, basil, oregano, and balsamic vinegar. Bring to a full boil. Reduce heat and cover at a gentle boil for 5 minutes. 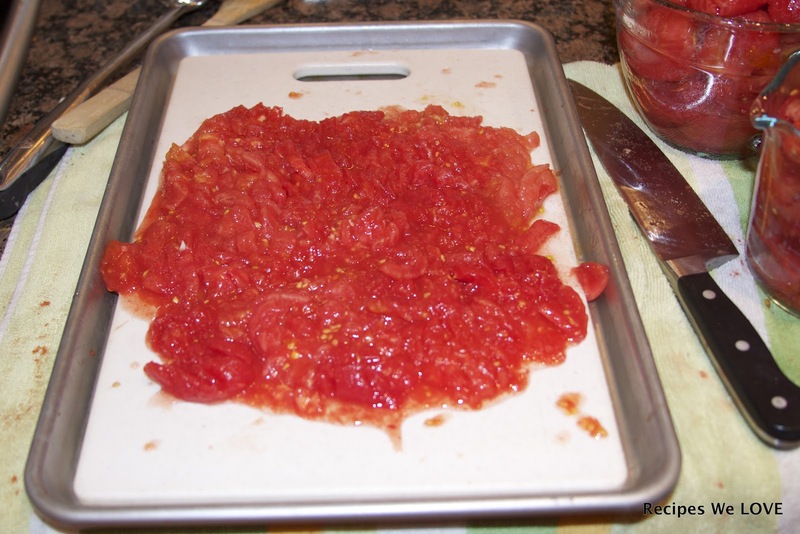 When I dice tomatoes I Put a cutting board inside my cookie sheet so the juice does not end up all over me, the counter, and the floor. 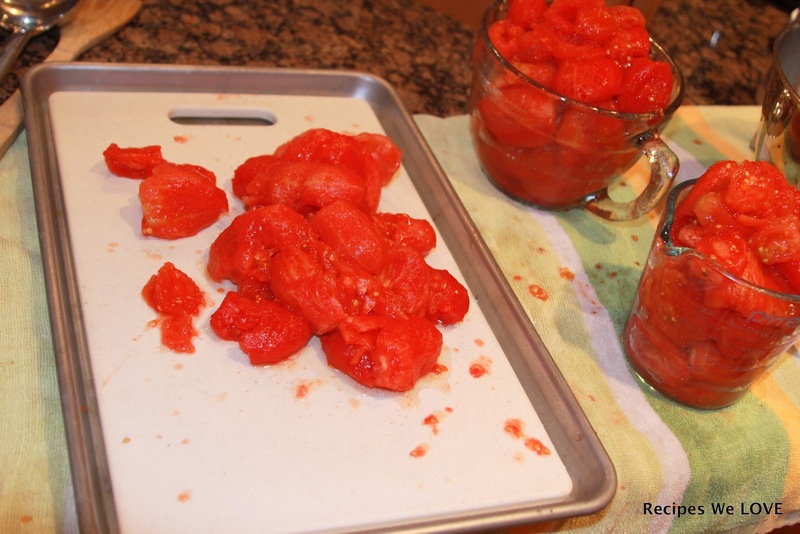 Pack cored diced tomatoes into hot jars leaving 1/2 inch head space. 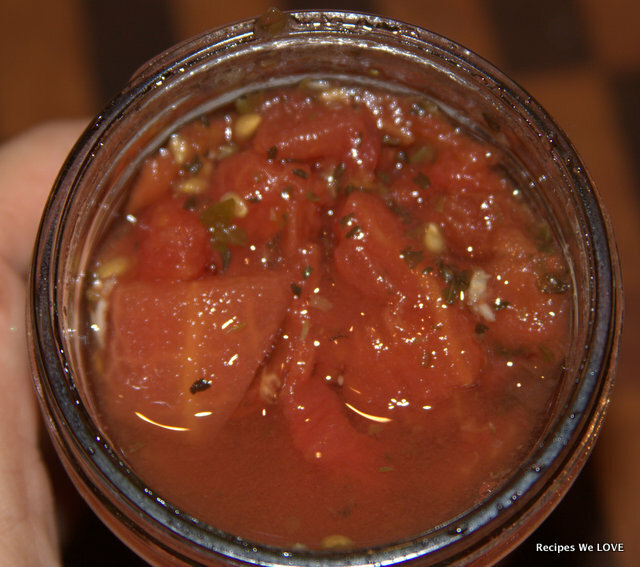 Then ladle the hot vinegar mix into jar to cover the tomatoes. Make sure the top the jar has nothing on it and place the lids on the jar. 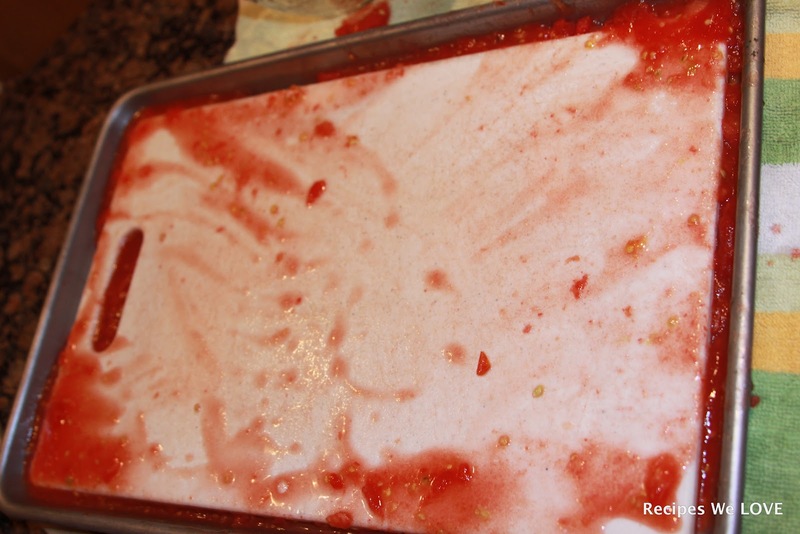 Process in a water bath for 20 minutes. 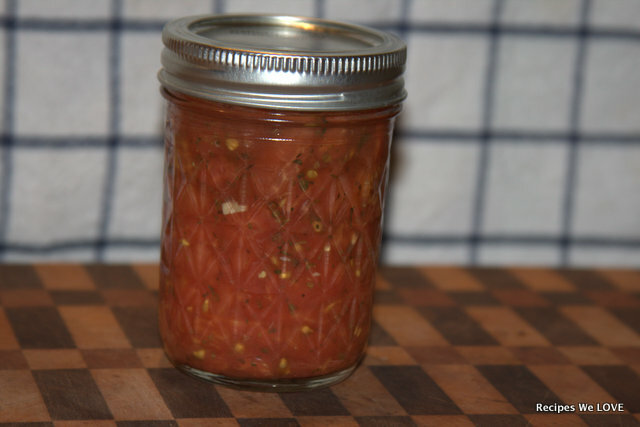 This recipe made 11 1/2 pint jars of Bruschetta Mix. 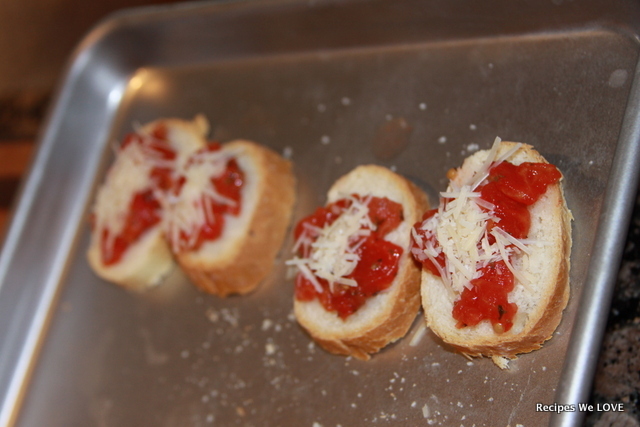 To use the mix just add some of the mix on a crusty bread, drain off the extra liquid before topping the bread. 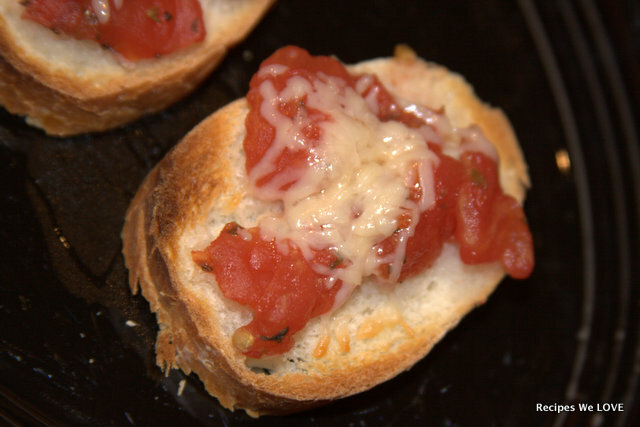 If your bread is not good and dense just toast for a few minutes before adding the bruschetta mix. 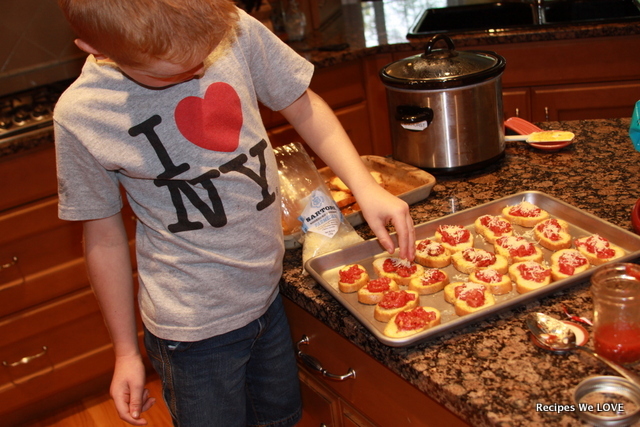 Then top with a little Parmesan cheese. 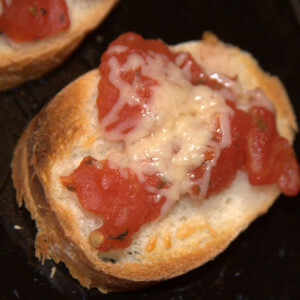 Toast just until the tomatoes are warm and the cheese begins to brown.